Home > Tasting Wine	> Look at Those (Wine) Legs! Look at Those (Wine) Legs! 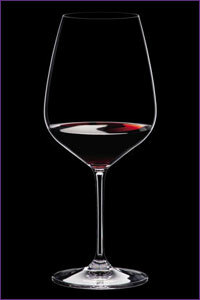 With appropriately-matched, quality wine glasses like Riedel Sommelier Wine Glasses or Riedel Vinum Extreme Wine Glasses, it is not only easier to notice the characteristic fragrances and tastes of your selected wine, it is also easier to see the beauty of your delicate beverage. With a clear wine glass, the clarity, color and depth of your wine are highlighted like never before, allowing you to more accurately judge your wine’s age, the types of grapes used in its making, and even the climate of the vintage. You can even learn about your wine when swirling to open it. When swirling, your wine will create “legs” (or, in the more poetic French, “tears”). These are the small droplets that form in the ring above the surface of your wine while you swirl it. It was once believed that the more legs a wine had, the better its quality. However, this is untrue, as various atmospheric conditions (and physics!) have expunged this myth. What is true is that the speed of falling legs can tell you about the wine’s sugar concentration and richness. Generally, slower falling wine legs denote richer wines high in sugar content as opposed to thinner wines with less sugar. Try examining the tears of both a sweet and a dry Riesling with Riedel Sommeliers Riesling Grand Cru Wine Glasses. You’ll be in for an educational treat! While aroma and taste play such an important part in wine appreciation, paying attention to appearance, too, greatly enhances the tasting experience. In fact, visual cues can even suggest additional possibilities to your palate you may have initially filtered out!